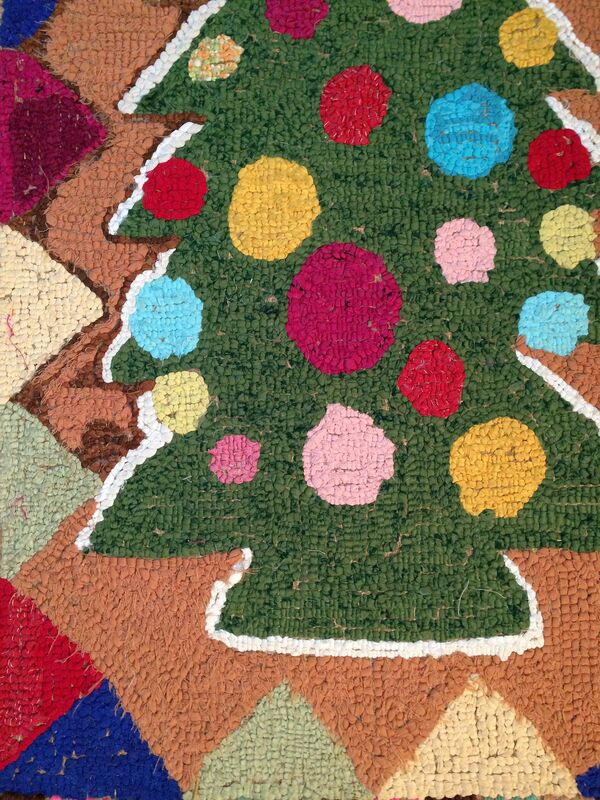 From my own collection, comes this very colourful attractive hooked rug of a Christmas Tree. I believe it was made in the very early 1920's. 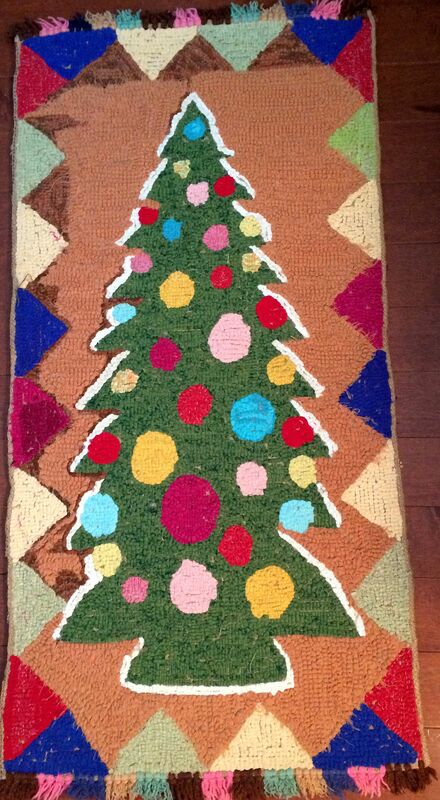 Approximate Dimensions: Length 38", Width 18 1/2". Condition: As found. I do not see any damage or areas of repair. Clean, no odours.. Purchased from Van Schyndel-Lachappelle at the 1996 Bowmanville Antique Show.